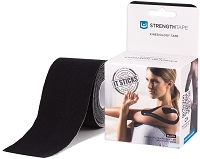 STRENGTHTAPE® Kinesiology Tape can assist to relieve the pain associated with Achilles Tendinitis and improve function of the associated muscle. Prevention is key with inflammatory issues. Apply STRENGTHTAPE® as soon as pain presents, and make sure to get appropriate rest and utilize appropriate footwear for your activities. Achilles tendinitis, also known as achilles tendinopathy or tenosynovitis, is an inflammatory condition of the achilles tendon most often due to overuse or poor biomechanics of the lower limb. Pain is usually localized to the tendon and surrounding areas, but can radiate up the leg and into the foot. The pain is worse with activity and is made worse by repetitive stresses such as running or climbing stairs. Wearing heels, running on uneven surfaces, ramping up training too quickly, and improper footwear are some of the most common causes. Please remember to visit a healthcare professional for evaluation. Body Position: Stand with knee on stool or chair. Keep toes pulled toward the shin. 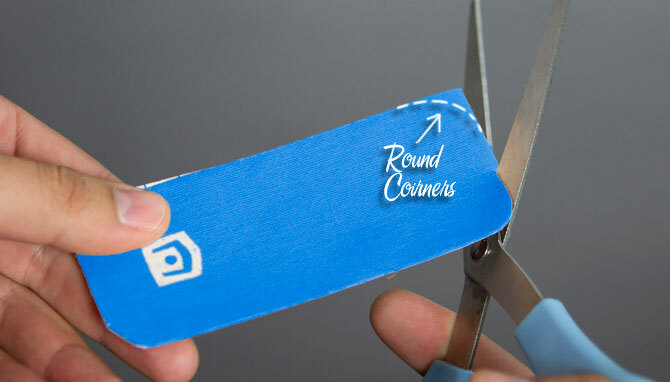 Step 1: Using a half strip, twist and tear the backing paper down the middle. Remove backing paper, but leave ends to hold. Stretch tape to 75% and apply over the most painful area. Lay the ends down with no stretch. Step 2: Repeat the previous step to fully cover the area of pain. Using the second half strip, twist and tear the backing paper down the middle. Remove backing paper, but leave ends to hold. 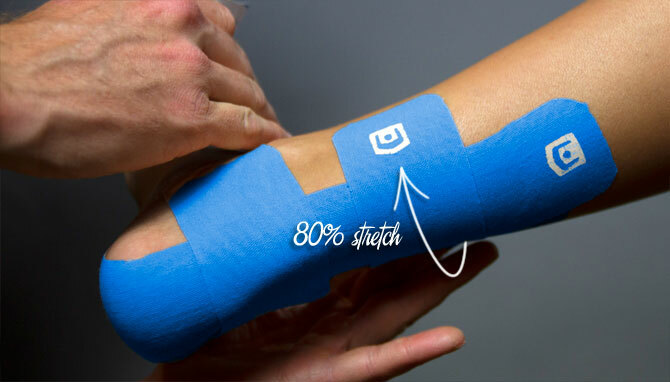 Stretch tape to 75% and apply, covering the painful area. Lay the ends down with no stretch. Step 3: With a full strip, twist and tear the backing paper about an inch from the end to create a base. Apply on the heel with no stretch, remove the backing paper leaving an end to hold. 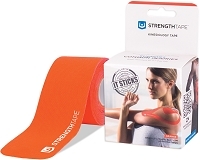 Stretch tape to 50% and apply along the tendon and outer aspect of the calf muscle. Lay the end down with no stretch. Roll fingers around tendon to ensure all edges are down. Step 4: With the second full strip, Twist and tear the backing paper about an inch from the end to create a base. Remove the paper at the base and apply directly below previous strip on skin. Stretch tape to 50% and apply along the tendon and the inner aspect of the calf muscle. Lay the end down with no stretch. Roll fingers around tendon to ensure all edges are down.